Fore Golf Partners was formed for the purpose of acquiring or leasing private clubs and daily fee golf courses located throughout the United States. 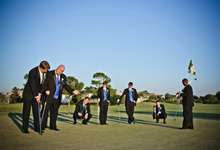 Fore Golf has owned and managed over 100 private clubs, daily fee golf courses and resorts during the past 38 years. Today, the Fore Golf family of clubs totals 11. As owners of clubs, the principals have never been involved in a deal that didn’t work financially and have never given a club back to its lender. 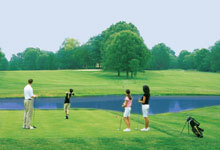 The Company’s mission is to responsibly purchase or lease private clubs and daily fee golf courses, invest appropriately in course, clubhouse and amenity improvements, improve communication between the onsite staff and member or daily fee player, and elevate operational standards to enhance the experience, use and enjoyment for the member, player and guests.